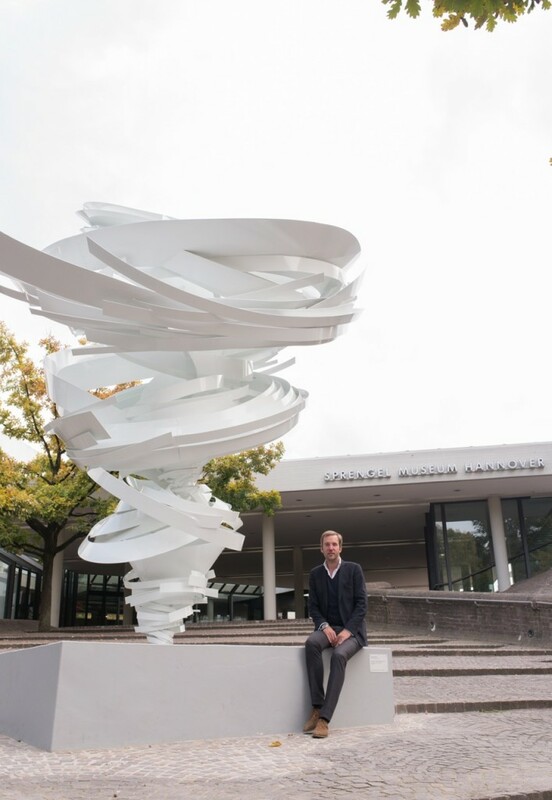 Hamburg-based Tilman Kriesel is an active member of the art scene and has been from an early age. 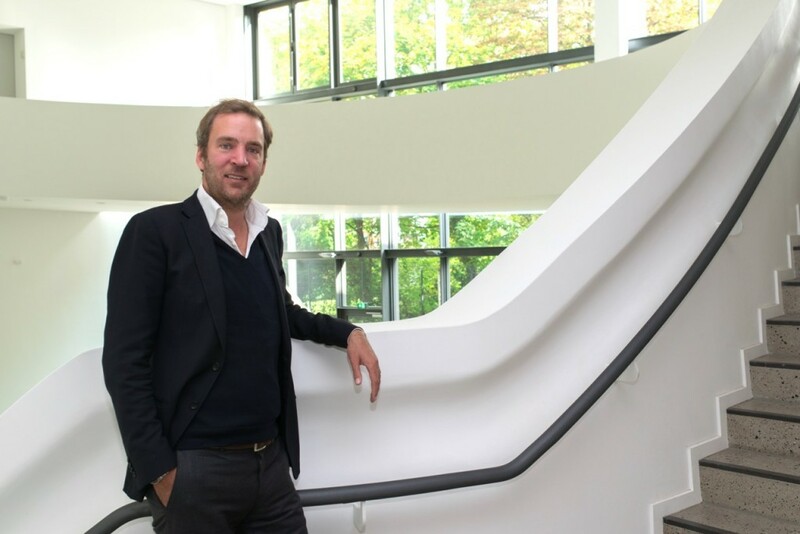 It is a passion that was ignited by his family’s art collection, started by his grandfather, Dr Bernhard Sprengel. The collection is currently housed at the Sprengel Museum Hannover exhibiting masterpieces ranging from classical modern and German expressionism art with artists such as Picasso, Klee, Nolde and Schwitters. Today, his family and himself are continuing the collection with works of contemporary art. 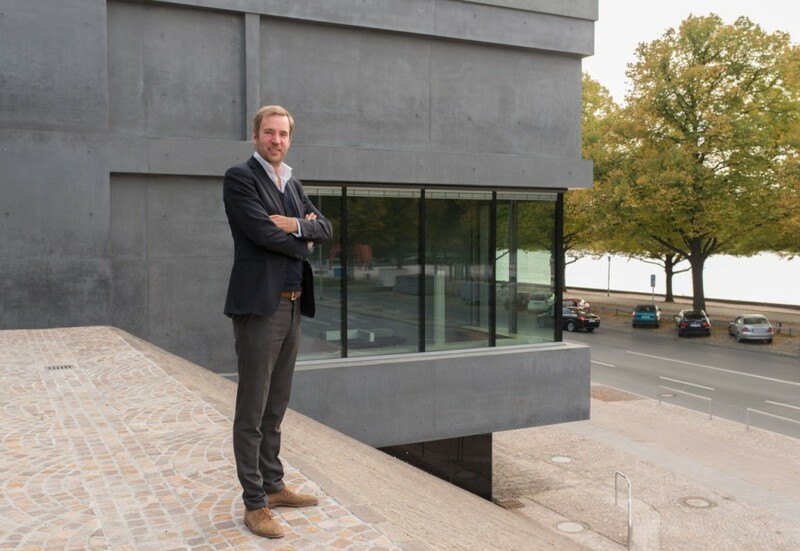 He is a board member of the Association of Friends of the Sprengel Museum Hannover and the founding member of the federal initiative of young art lovers. 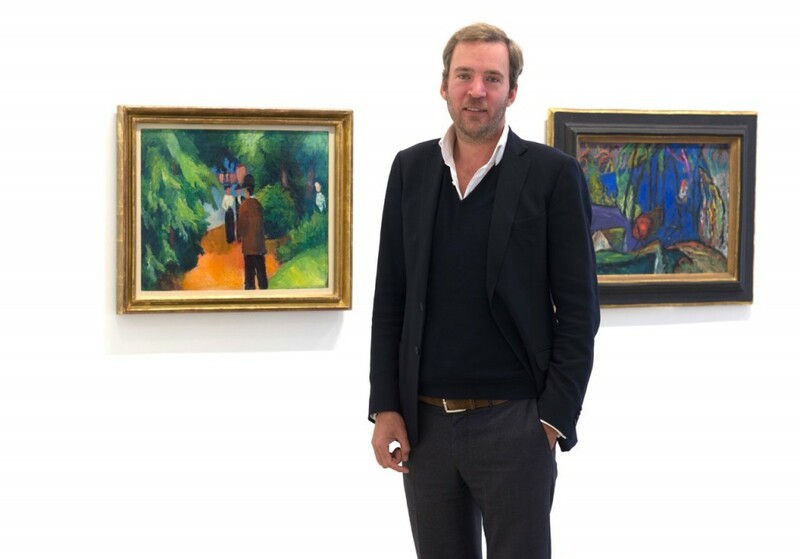 In addition to those important roles, he is an art adviser at his company Tilman Kriesel Art Advisors GmbH, committed to guiding people through the art world. Kriesel reveals to us the history behind his family’s art collection and the tactic to finding quality artworks. Tilman Kriesel. Photo: Peter Hoenemann. What is your background in art? What was your experience with art growing up? I am part of the third generation of an art collecting family. Aside from my family’s activities, especially of my grandfather’s, I was also very active and engaged in the art world. The influence of my family was always present, but personally, I realised my privileged situation when friends and colleagues of mine asked me to introduce them to my world. They were interested in my personal experience, my eye and my stance on the art world. What motivated you to follow your grandfather’s footsteps along with your parents to continue the collection or start collecting yourself? After school, I studied architecture in Zurich. Distanced on the one hand but still connected with my background. It was always natural to me to be informed, curious and to share my interest with friends. Was it always a plan of yours to go into collecting because of your family’s history engagement with art? Did you have other ideas in mind for yourself? I have never felt like a collector. Every piece of art found me. 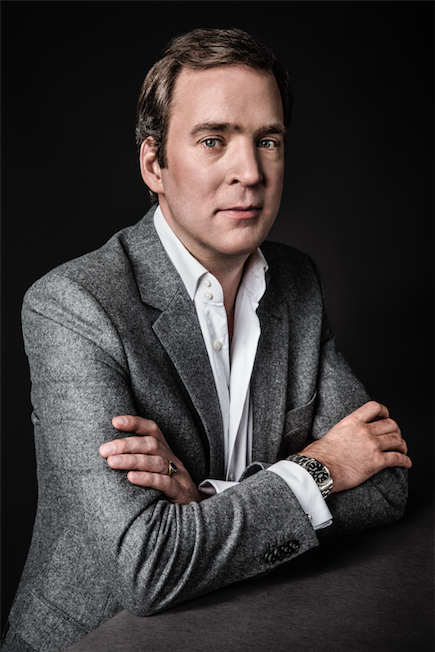 It is the same with my parents – the motivation was never to be an art collector. It was just the love from one piece to another, which is why we bought more art works than we needed. Now I love to share my interests, and it feels like a luxury to be paid for art consults. What was your grandfather’s methodology towards collecting? Does yours differ? He and his wife were basically music enthusiasts. During their honeymoon they visited the “Forbidden Artists” exhibition, organised by the Nazis before the Second World War. This was the start of their collection. They continued collecting contemporary art until the end of their life – collecting what they liked with a genius sense for quality. This is today my fundamental approach. Calder Room. Photo: Michael Herling. Your grandfather used to collect classical modern expressionism art. Is your personal collection different? If so, in what way? He was collecting contemporary art and so am I. Everything which is new and has an impact on me, is of interest to me. Do you have your own personal collection? Could you possibly tell us how many works you own or how many artists? I’ve never counted them. Some works were given to me by my family but I assume I excessively bought new works. But it is not all about quantity; I believe in quality. I am still astounded as to why some people call themselves an art collector just because they have an accumulation of art works. The importance of my collection is not dependent on numbers. You apparently started young in the art world. What age were you when you acquired your first artwork? How and where did it happen? Because my grandfather was such an important collector and everybody was impressed by his quality and reputation, I was a little intimidated to collect by myself. I felt quite comfortable with just knowing what I would buy, but I never did. Of course, now I am more courageous and more and more pieces of interest and quality find me, which are more or less affordable. Modern art section. Photo: Michael Herling. 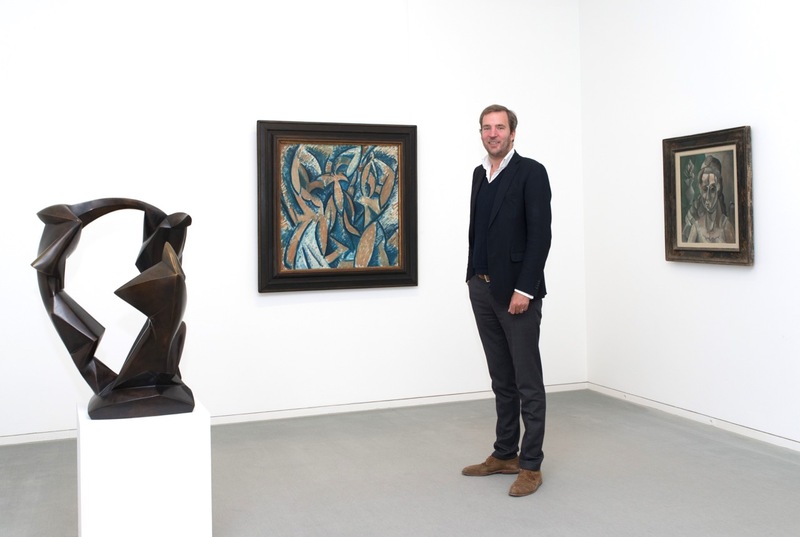 Artworks in the background by Pablo Picasso. Photo: Michael Herling. How would you describe your personal collection? Does it follow a theme or concept? What kind of artists do you collect or enjoy? I am always open-minded. I try to see without prejudice but in the end, it is mainly conceptual art, which finds its way to me! It is my task to collect contemporary art, mostly by young artists and just a few are well known. Abstract art allows me to project a surface of my own thoughts. That’s why I like it. Where do you search and acquire artists? Everywhere and nowhere: articles in art magazines, retrospectives are important to compare singles pieces with the whole body of work, but I mainly find them in galleries or in art fairs. Sometimes I follow the eye of artists and curator friends of mine. Besides, as a co-founder of an online space for young artists, it is also a good source of inspiration. But I find the best pieces when I am not even looking for them. How would you describe your personal taste in art? Are you more concepts over aesthetics? Both. I live with the art so I prefer pieces that will fit in well within my private space. A piece without a second and third level meaning under the surface will bore me after a while. Did you ever encounter any challenges in your collecting career? If so what were they and how did you overcome them? The biggest challenge is the fact that money is a limited resource. Also I felt stupid and blind when I couldn’t find a single piece that interested me during an international art fair, but there was probably a good reason why pictures couldn’t find me. Made any mistakes along the way? Sure, but my belief is that every mistake is necessary. I am more bothered about pieces I didn’t buy rather than pieces I bought, because since I double-check every decision, either art pieces are sold during my process of evaluation, or their quality didn’t last long enough in my eyes. 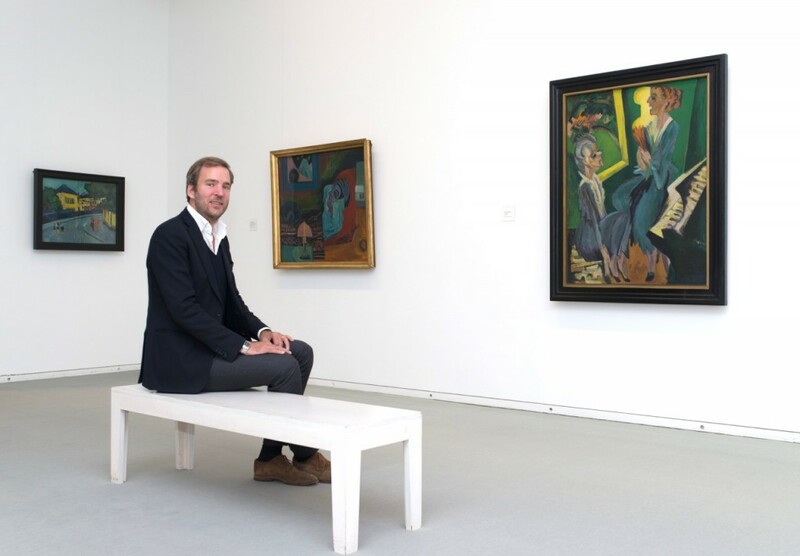 According to you, what is the role of an art collector in the making of art history? I believe it is the task of curators of independent institutions, who should have influence on art history. A private collection should be the expression of the collector’s personal taste. I know that private donations are more and more needed to fulfil the mission of institutions, but the independency of institutions is absolutely necessary. Luckily, the government operates most German institutions and they are strictly not allowed to participate in the art market. The Sprengel Collection was donated to the city of Hanover without any terms of conditions, so curators are able to decide how to write this chapter of history. In your opinion, when does a work of art become important? A single piece has to tell the whole story of an artist’s life at its best, along with long lasting quality. A great artist will be important if he has influence on other great artists. A great artist doesn’t need to be successful in the art market and he doesn’t have to be everybody’s darling. Artists have to be at least a person of respect and influence in the art scene. Their work should make a difference. What was the best advice you ever received regarding collecting? Who was it from? My grandfather told me, it’s all about quality… But it took me a long time to understand what he meant. Since then I’m educating my eyes like a musician would train his instrument: always repeat and compare. Being an art adviser yourself, what advice would you give to our readers or young collectors who just entered the field? Do you have any rule of thumb on when to collect an artist, depending on the stage of his/her career, for example? His work should be modern, radical, benchmark, unique, outstanding or exciting. I prefer artists who have had a long life and who have not been influenced by the market. This enables the work to mature slowly and guide the artist to find the quality in his work by himself. Peppi Bottrop (young of age), Robert Janitz (newly arrived in the market) and Isa Genzken (fresh ideas). I’m absolutely excited to see what the post-internet generation will create, what the next big influence will be and what will last, in addition to what will be the artists’ reactions against the influence of some genius power-seller-artists, who manipulated the market with common sense stuff. Installation by Alice Aycock.Photo: Michael Herling. Third Section by Meili.Peter Architects: open since October 2015. Photo: Michael Herling. What is the museum’s mission? To be aware of the spirit of collectors, to keep the best quality accessible to the public and to always be open minded and brave. Many famous artists where far away from being accepted by their environment – so we should allow ourselves to give these artworks a second chance, even if we do not understand them at first. Any future developments or projects you can mention? At the moment, the Sprengel Museum will be extended into a fantastic third section, created by Meili-Peter Architects from Zurich. It will be possible to show important parts of the whole collection for the first time after 2016.